Breaking free of an addiction is a tough thing for anyone to do, but it may be even harder if your name happens to be Paul Gascoigne. The alcohol problems of Gazza have been regularly reported in the media, and it can often seem as if the tabloid newspapers in particular are just waiting for him to put a foot wrong. This must mean a lot of unnecessary stress for him and, if that were not bad enough, there are some ‘sick fans’ out there deliberately trying to sabotage his sobriety. Paul Gascoigne had been sober for a few months, but claimed that his recent relapse was triggered by stress and a deliberate attempt to sabotage his efforts to create a better life. He reports that ‘sick fans’ have been leaving bags full of booze outside of his flat, as well as ringing his doorbell and making noise at all times of the day and night – they have not only been making life difficult for him but also his neighbours as well. It is usually strongly recommended that those in early recovery avoid bars because there is just too much temptation there; even people who have been sober for years can be taking a risk by spending time in drinking venues. Gazza describes how he has not only needed to deal with the regular temptation of alcohol being left on his doorstep, but needing to pour these drinks down the sink and the smell that entails makes relapse even more of a temptation. The fact that he has needed to do this is incredibly unfair. He seems to be genuinely making an effort to create a better life, so this should be respected. In the past, Gazza has asked that pub landlords and off-licence owners refuse to sell him alcohol. He understands that he has poor impulse control when it comes to drinking and is taking positive steps to limit temptation as much as possible. This is commendable. 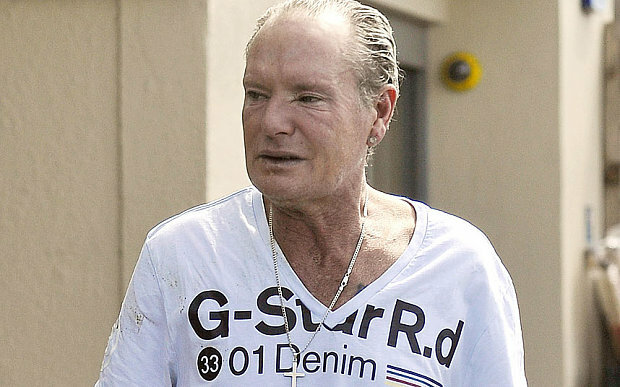 The people who are leaving alcohol outside his door may think that what they are doing is funny, but it a horrible thing to do; the likelihood is that Gazza will not live long if he continues drinking, so these people are basically trying to kill him. Most of the media would not care much if Gazza managed to remain sober; they only seem to be interested in stories in which he is doing crazy things due to his personal problems. If they cared one bit about his health, they would not be printing the embarrassing stories and photos designed to make him look bad. After his recent relapse, Gazza made the decision to get right back on the path of recovery. He called an ambulance so he could be safely detoxed; the media exploited the situation to capture unflattering photos of him getting into the ambulance. It might be unfair to say that the tabloid media are deliberately trying to keep him drinking, but they are certainly not doing anything to help him recover. Building a good life after addiction is tough, so he shouldn’t have all this added pressure on him just because he once used to be a famous football player. If the media do want him to recover, they should leave him in peace. Gazza must feel disappointed to have relapsed again, but it is great to hear that he has decided to get back on track right away. He is apparently committed to an intense exercise programme and is determined not to allow his new life to be ruined by some sick fans and an uncaring media.